Dr. Skerratt has been at the James Cook University (Townsville, Queensland) School of Public Health, Tropical Medicine & Rehabilitation Sciences since 2003 during which time he has focused on issues in wildlife health and disease and it’s relationship to biodiversity, agriculture and human health (One Health). He currently serves as the Senior Research Fellow in this department and prior to that as Senior lecturer. His previous experience in the field was as a Research Associate at both the University of Wisconsin and National Wildlife Health Centre in Madison, Wisconsin and also as a tutor (University of Melbourne), Veterinarian (Latrobe Veterinary Clinic) and Research Officer (James Cook University). 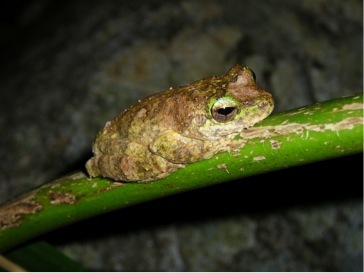 Dr. Skerratt’s recent work has demonstrated that the spread of the amphibian chytrid fungus has caused the global decline and extinction of frogs (Skerratt et al. 2007), which was recently acknowledged by the World Organisation for Animal Health when they made it a notifiable disease. He has shown that sarcoptic mange is an important disease in common wombats, Vombatus ursinus, that may cause the extinction of small isolated wombat populations (Skerratt 2005). He has identified pathogens that may be contributing to the decline of 10 of the 15 species of sea ducks in North America (Skerratt et al. 2005). In addition to contributing to our understanding of the impact and control of wildlife diseases impacting biodiversity he has worked on those impacting human health and domestic animals such as avian influenza, Australian bat lyssavirus and Hendra virus.